Sweet potato pie filling is heaped in some of the 2,000 tartlet crusts. Cherie Beasley removes baked pies from the SCE kitchen ovens as dozens of tartlets await filling and baking. Karen Grimes and Dennis Brandow were two of the volunteers who helped fill more than 2,000 pie crusts. Sweet potato pies bake in one of the Lang convection ovens at SCE’s Energy Education Center kitchen in Irwindale. 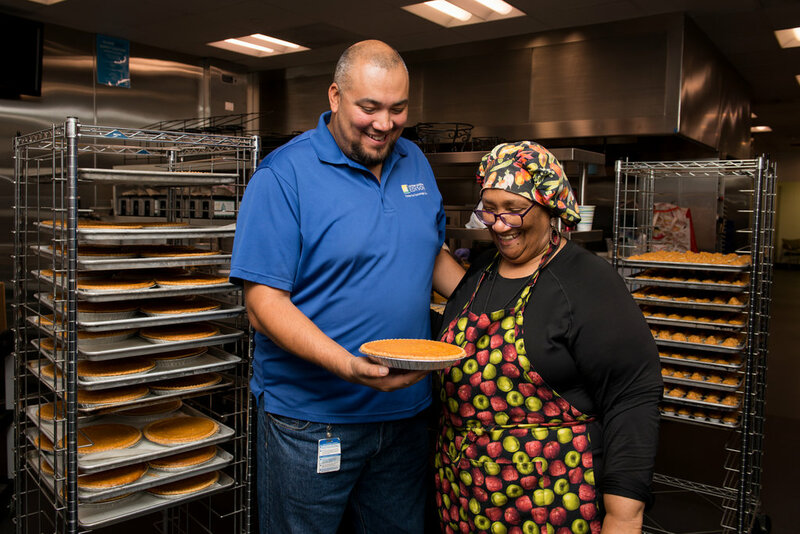 A Long Beach nonprofit takes advantage of the commercial ovens at SCE’s Foodservice Technology Center to cook up a heap of sweet potato pies for the needy. Cherie Beasley, who runs the nonprofit Kitchen Food Ventures, always likes to give back during the holidays and her way of giving is to make sweet potato pies — thousands of sweet potato pies and tartlets for low-income families and the homeless. But baking that many pies — about 300 9-inch pies and 2,000 tartlets — takes a bigger kitchen than Beasley has at her facility in Long Beach. 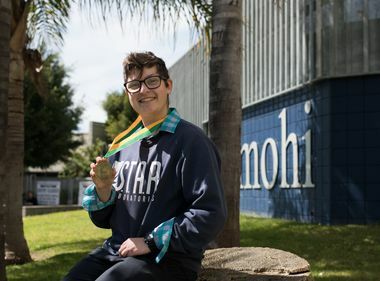 For the last eight years, Beasley found her solution at Southern California Edison’s Foodservice Technology Center in Irwindale, which has commercial ovens for cooking large quantities of food. Normally, SCE uses the convection ovens, fast fryers and other energy-efficient equipment for demonstrations and for customers in the food business to do testing, but at this time of year it opens its doors to charities like Beasley’s to help them with their holiday cooking. 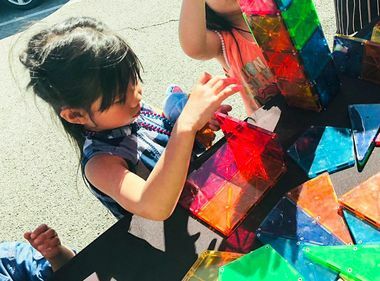 “It’s part of Edison giving back to the community, allowing the community to know what we do here and how we can assist them,” said Andre Saldivar, the SCE engineer who oversees the center. After so many years using SCE’s facilities, Beasley has her sweet potato pie project down to an art. She and a handful of volunteers prep the pies in advance, pre-mixing the sugar and eggs, mashed sweet potatoes, milk and spices for the custard filling using a recipe handed down by Beasley’s grandmother, with a few tweaks. This is no mean task. Melinda Daniels, who honed her cooking skills while growing up in a family of chefs and cooks in Pass Christian, Mississippi, was assigned sweet potato peeling duty. It takes her 45 minutes to peel a case of the donated fresh, locally grown sweet potatoes — and they had 25 cases to peel. Once prepared, Beasley transports the 25-quart plastic containers of filling and prepared commercial crusts to the SCE kitchen to finish up. Beasley and her three volunteers arrived about 8 a.m. on a recent weekday for her latest holiday cooking marathon and immediately got to work. First, they filled baking sheet after baking sheet of pie shells. As the first batch of 60 9-inch pies baked in SCE’s three 300-degree ovens, the team filled what seemed like an endless stream of crusts. They quickly fell into a rhythm — filling crusts, moving pies into the ovens and taking pies out of the ovens, the latter often punctuated by a shout of “Hot pies coming through” as they moved the freshly cooked pies to the baking racks. While Dennis Bandow, a 19-year-old volunteer who normally works in construction, quietly filled pie crusts, the women traded cooking tips and favorite recipes. Daniels talked about the rosemary herb butter she made that weekend and everyone gushed about Karen Grimes’ red velvet cake. The pie baking took the better part of the day. Then all the pies were loaded up to be distributed to the needy in Watts and South Los Angeles. Beasley said having access to SCE’s kitchen has been a godsend for her holiday pie project. “We know it’s a privilege to use these facilities and we are eternally grateful,” Beasley said. 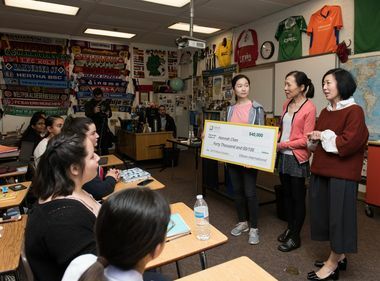 Edison has a long commitment of giving back to the community with grants and in-kind donations. 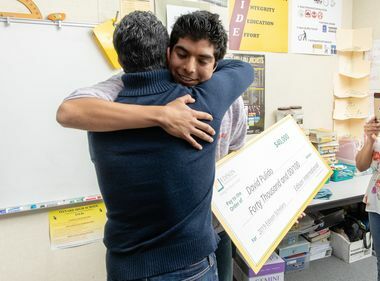 Last year, Edison International provided 1,525 grants to nonprofits — about 90 percent of which helped underserved communities. Separately, Edison employees volunteered 143,675 hours with community organizations and donated an additional $2.1 million.